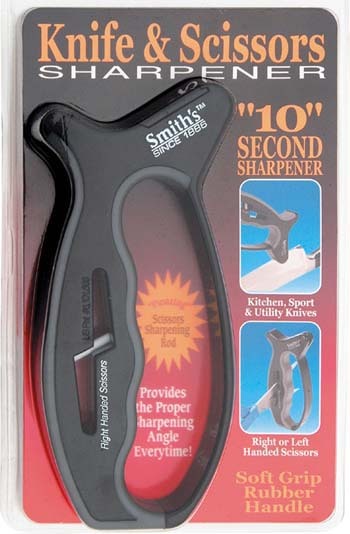 Features specially designed V shaped cutting slot with tungsten carbide inserts which allows for fast and easy sharpening. Black finger groove plastic handle with rubberized grip features floating ceramic sharpening rod for left or right handed scissors. Knuckle guard. Hang packaged.